NEW YORK – February 28, 2017 – Today on Rare Disease Day, My Life, Our Future, a national program founded by leaders in the bleeding disorder community, including Bloodworks Northwest, the American Thrombosis and Hemostasis Network, the National Hemophilia Foundation and Bioverativ Inc., opened the largest research repository of its kind in the world to scientists. The My Life, Our Future Research Repository is a collection of genetic data and blood samples that are linked to phenotypic data from more than 5,000 people in the U.S. with hemophilia, a rare disorder that impairs the ability of one’s blood to clot. 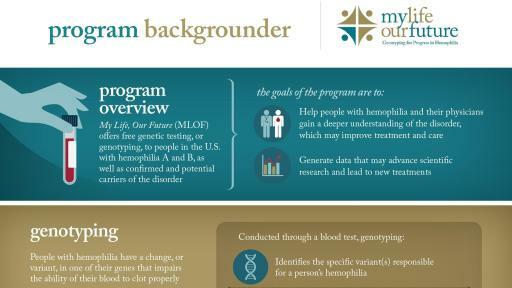 The My Life, Our Future Research Repository will allow researchers to advance the scientific understanding of the disorder, including genetic differences that affect bleeding severity and reaction to certain treatments. 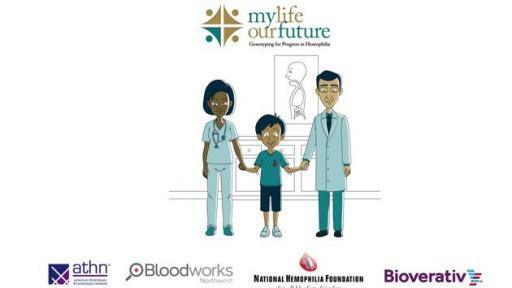 My Life, Our Future was launched in 2012 to increase genotyping among hemophilia patients in the U.S., many of whom had not received a genetic test due to cost or lack of insurance coverage. 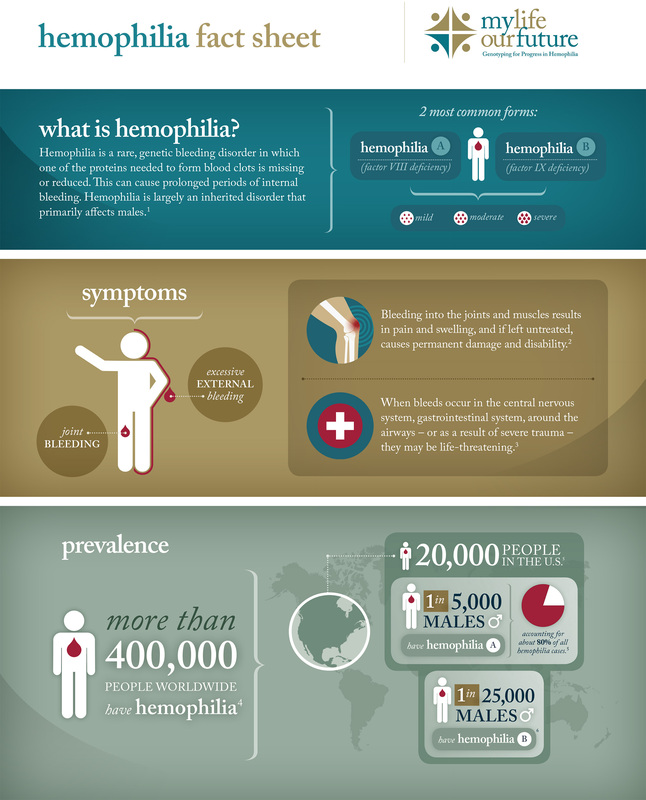 By providing free genotyping, My Life, Our Future offers patients the opportunity to learn which genetic change causes their disorder; this is particularly valuable given hemophilia is a complicated disease that can be caused by nearly 4,000 genetic variants (mutations). 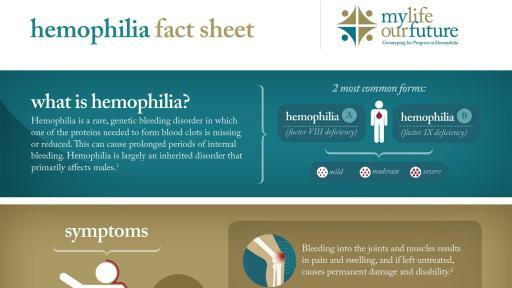 Already, the initiative has identified more than 600 new genetic variants that cause hemophilia. Through the program, patients can also consent to add their de-identified genetic data and blood sample to the My Life, Our Future Research Repository being opened today for the purpose of advancing research; 83 percent have chosen to do so. The My Life, Our Future Research Repository is opening to U.S.-based investigators in 2017, before expanding to international applicants in 2018. Researchers can submit applications by visiting ATHN.org/MLOF. To access the samples and data in the My Life, Our Future Research Repository, scientists must submit a proposal to My Life, Our Future for evaluation by the research review committee – a multidisciplinary group of experts including a molecular pathologist, genetic counselor, research scientist, molecular biologist, genetic epidemiologist, molecular epidemiologist, geneticist, patient representative and hematologists. Approved researchers will be selected based on the scientific merit of their proposals and level of benefit to those with bleeding disorders. My Life, Our Future is a partnership of the American Thrombosis and Hemostasis Network, Bloodworks Northwest, the National Hemophilia Foundation and Bioverativ. 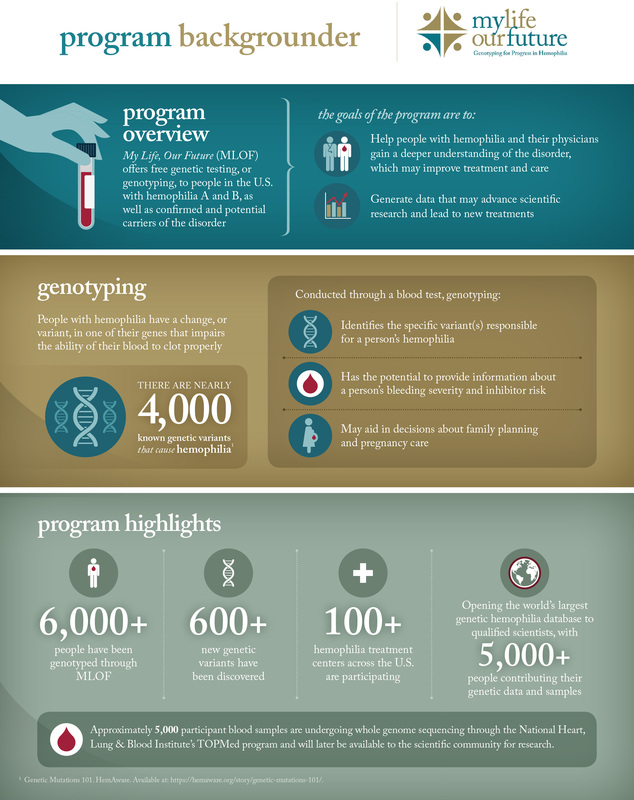 The program offers free genotyping to people with hemophilia A and B in the U.S., as well as potential and confirmed carriers of the disorder. It is available at participating hemophilia treatment centers through the end of 2017. For more information about the program and its founding partners, visit www.MyLifeOurFuture.org.